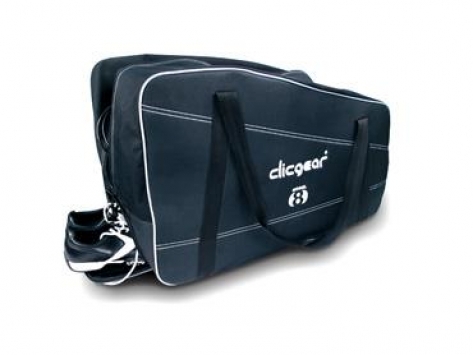 The Clicgear® Model 8.0 Cart Travel Cover helps protect your cart when you travel. Made from tough and padded waterproof nylon, this travel cover is very useful for keeping your cart safe on a golf holiday. The bag has a rubberized bottom and new internal rubberized pocket for shoes and other storage. Great for college teams that travel frequently. It is possible to custom embroider. This accessory only fits the Clicgear Model 8.0 Cart.